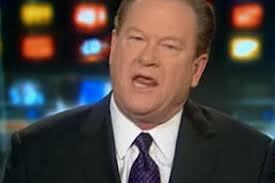 A few years ago, the Ed Schultz radio show was broadcast on a station I managed in Cincinnati. The station and Ed had few listeners and rumors soon hit the streets the station would be changing format. I forgot what eventually caused the outburst from Ed, but he proceeded to do almost an entire hour of his national radio show on the topic of “Darryl Parks!” Me. He called me names, said I was stupid and that I should eat salmon because it was brain food and it would make me smarter. That was the day I knew he believed his own “bulls**t.” It’s a dangerous thing when a radio personality begins believing their own “bulls**t.” Their goal is to gather an audience that grows larger each day. It’s about being entertaining, interesting and being a companion to the listeners, not a bully. Recently, a caller on Ed’s radio show got the best of him when he called Ed a fascist. Ed responded by calling him a “frickin’ a**hole” and then telling him to “get the f*** out of here.” His show is broadcast on a delay in the event a caller drops the f-bomb. I guess he thought the producer was going to dump him for what he said. It appears the producer didn’t. CLICK HERE to hear his potty mouth (just make sure the kids are out of the room). for the “common man” he should be opposed to Big Government as it is manifesting itself across the board. He should favor ALL anti-government tendencies, at last until the US is OUT of Europe and the Mideast. where the fencesitters and flipfloppers will be given a final chance to summon anything heroic in their beings.